Tammy Crane, MBA, RHIA, obtained her Bachelors of Science in Health Record Administration from Daemen College in Amherst, New York and has successfully held the certification of Registered Health Information Administration (RHIA) from the American Health Information Management Association (AHIMA) since 1989. In 2007, she received a Master of Business Administration from the University of Phoenix. 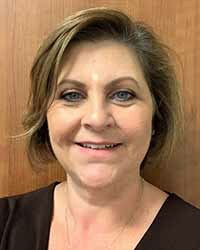 Tammy's career began at Geisinger Medical Center in Danville, Pennsylvania as a supervisor accountable for records management, deficiency analysis and record completion within the Health Information Management (HIM) Department. She relocated to Richmond, Virginia in 1991 to further her career and over the next 15 years progressed in various HIM leadership roles while working with Stuart Circle Hospital and Henrico Doctors' Hospital. In 2002, she took the role as Administrative Director for the Bon Secours Richmond Health system overseeing HIM operations for six local acute care hospitals. In 2007, Tammy and her family decided to relocate to Raleigh, NC and she joined Duke University Health System as the Director of HIM for Duke Raleigh Hospital. She served in that role until 2011 when she was promoted to Senior Manager of HIM during reorganization and centralization of HIM services for Duke University Health System. Tammy was raised in Chautauqua County in western New York on her family's dairy farm. She has been married for 26 years to her high school sweetheart Richard. Tammy is the proud mother of two incredible young adults Nathan and Emma. In her spare time she enjoys family, gardening, entertaining and playing with her three dogs and two cats.